Shallots, white truffle oil, Knorr vegetarian seasoning powder, white wine and exquisitely sautéed pine mushrooms on lightly toasted ciabatta bread create this beautiful and delicious crostini. Brush a layer of garlic oil onto the Ciabatta bread. Toast the bread for 5 minutes till crusty. In a pan, melt butter then add shallots to caramelize shallots. Add in mushrooms and sauté till brown. Deglaze with white wine and let sauce reduce half. Add cream and bring to boil. Let it simmer for 3mins. Add seasoning and fold in truffle oil. 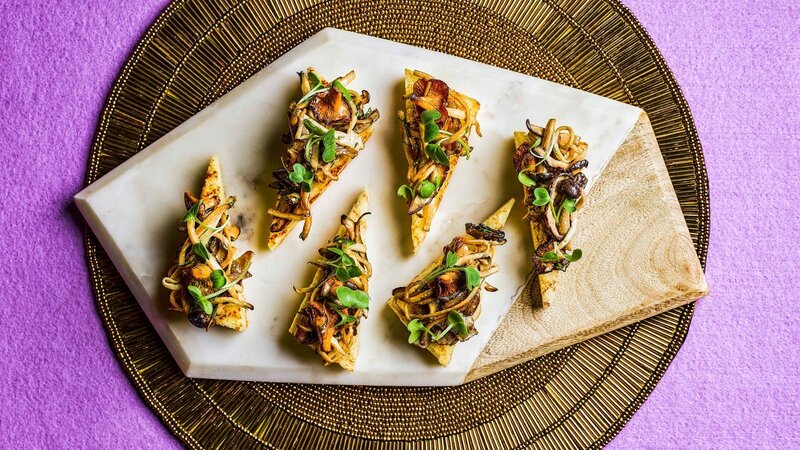 Place the sautéed mushroom onto crostini toast and garnish with mustard cress.